In the Pro shop at John O' Gaunt Golf Club is Head Professional Lee Scarbrow, and wife Sue Scarbrow, who manages the shop. They are assisted by Jason Churchley, and Tom Bushell. Both Tom and Jason are at various stages of their professional training within the PGA. Coaching is provided for all levels of golfers, from complete beginner to European Tour standard. Within the Pro Shop is a purpose built swing studio with all the modern technology to aid all types of players. Lee has built a reputation as one of the leading coaches in the country and is listed in both the top twenty five Golf Monthly, and top twelve Today's Golfer magazine for coaches in the United Kingdom, and won the John Jacobs international award in 2014. Lee's most famous past pupil is none other than Ian Poulter who was under Lee's tutelage during his time as Head Professional at Leighton Buzzard Golf Club. Lee has also taught Charlie Hull who was the leading prize winner on the European tour in 2014, and currently teaches Hannah Burke who recentley won the Ladies European Tour title in the Czech Republic. 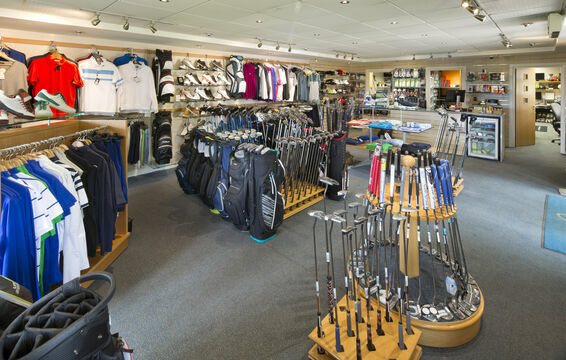 Kept in stock is a comprehensive range of clubs, equipment and clothing for the beginner through to the experienced player. Staff are trained in club repairs and have a thorough knowledge of golf to advise on equipment suited to your ability. Stock is being constantly upgraded to keep in line with the latest golf equipment available as well as the trends in fashion. It is impossible to stock absolutely everything, therefore a service is offered whereby the product, pending availability, would be ordered in to meet a customers requirements. 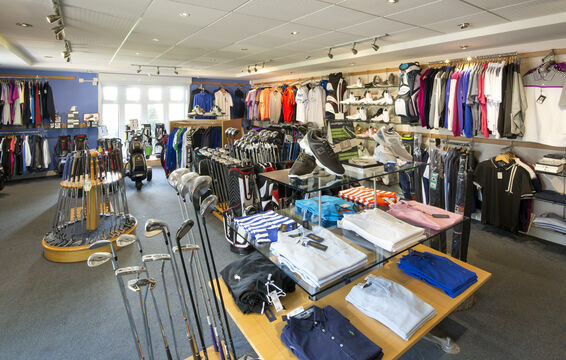 Stocked in the shop are brands ranging from Titleist to Ping, Oscar Jacobsen to Footjoy clothing. There are constantly offers on in the shop on golf equipment and lessons.